You started your business, so who could possibly know more about your business than you? But as your business grows, you need to hire, train and retain great employees. Leading your employees and keeping them accountable is a huge part of running a thriving small business. However, the difference between “Leadership” and “Micromanagement” is often a murky one. As an owner, you want to focus on the vision and mission of your business. So you strive to encourage your team to run with day-to-day tasks and projects. But when it comes to actually handing over the reins to your employees, it can be tough to let go of control. The term “micromanagement” carries a lot of baggage with it, and for good reason. 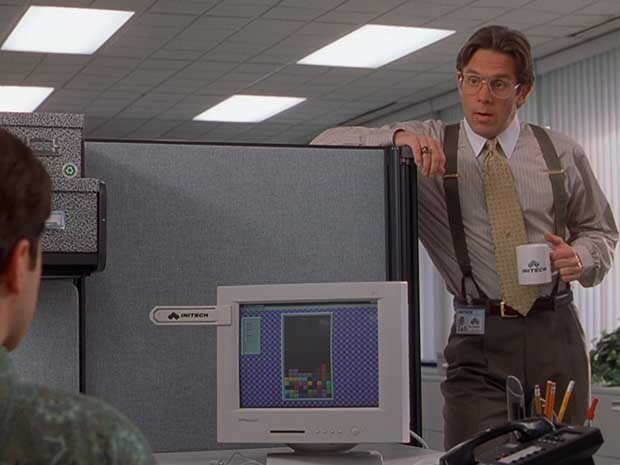 It is estimated nearly 80% off employees have suffered from being micromanaged (aka having to complete the dreaded TPS Reports). 1/3 have changed jobs because of being under the thumb. After all, people don’t leave their job, they leave bad owners and leaders. Are you lingering to see which employees are checking Facebook or waiting to see how your employee adjusts to the new project? Shoulder monkeys never make good leaders. Yes, it’s good to give regular feedback, but if you are not waiting for the project to be completed, then you are probably too close to the process. What if your significant other was “helping” you cook in the same way you are helping guide the project? Would the level of suggestions make you want to hand over the spatula or would you have room to feel you were still the chef in the kitchen? You know those pesky clients that keep asking for little changes, often ending up miles away from their initial direction? Well, sometimes owners do this too. If you are pushing for small changes and then find the project ends up in a completely different direction, then you probably took the helm and drove the bus off-course. Yes, that’s micromanaging. Do all decisions or approvals have to go through you? Are your employees constantly waiting on you before they can respond to your customers? Do you take back delegated work before it’s finished or ready for review? By making daily processes completely dependent upon one person, your employees are stifled and can’t fully develop their potential. Also, while you’re jumping into projects, you lose valuable time you should be spending looking ahead, working on the big picture items needed to fuel growth. Micromanagement kills creativity and innovation, ruins employee retention, and hinders the customer experience. The reality is, when your people feel like “Big Brother” is watching their every move, they are less likely to think or step outside the box to deliver a memorable experience to your customers for fear of reprimand. To be a great leader you need to adapt your leadership style to your team to get the most out of them, in every situation. If you don’t trust the people working for you then you will be more inclined to micromanage them. So when it comes to adding new team members, hire 9’s and 10’s don’t settle for 3’s and 4’s. Find employees that are problem solvers and can run with initiatives. Most small businesses owners wear a ton of hats and employee training is delegated to baptism by fire. While there’s a lot that can be learned from on the job experience, it’s hard to hold your employees accountable for results if they lack the proper training and support. A solid training program starts with the proper new hire training and continues with ongoing coaching and mentorship. By investing in your people personally and professionally, you’ll spend less time doing their work and more time equipping them to excel. Often, owners and leaders micromanage because they don’t have a clear picture of the process and how it is producing results. The right tools give you data and insights into each employee and what you can do to best support them for success without becoming BIG brother. Think about all of the items on your plate. Prioritize key projects you should be involved in and decide what tactical items you could move to you team. Once you decide to delegate, give them the autonomy to complete the project and deliver results. Let your employees know you fully trust them and step in only in an emergency or when asked to. There is a good chance they won’t do things exactly the same way you would do it, but if you are looking to grow your small business you hold the key: Moving from a micromanager to a leader. And everyone wants to follow the leader. I know there will be tendency to want to do everything yourself, but remember: Teams, when allowed to flourish, will always deliver greater innovation and productivity than a single individual. Learn to let go of any tendencies to micromanage, and you’ll be rewarded by increased productivity, more engaged employees, and happier customers.